The southern part of Benin is characterized by the coastal Zone Fluvio- lagunaire (ZFL), made of lagoons and marshes and surrounded by the Terre de Barre (TB), a fertile plateau made of iron clay cut with depressions and often covered by immense palm groves. This plateau is endowed with moisture from the surrounding lagoons and has a high bioproductivity. 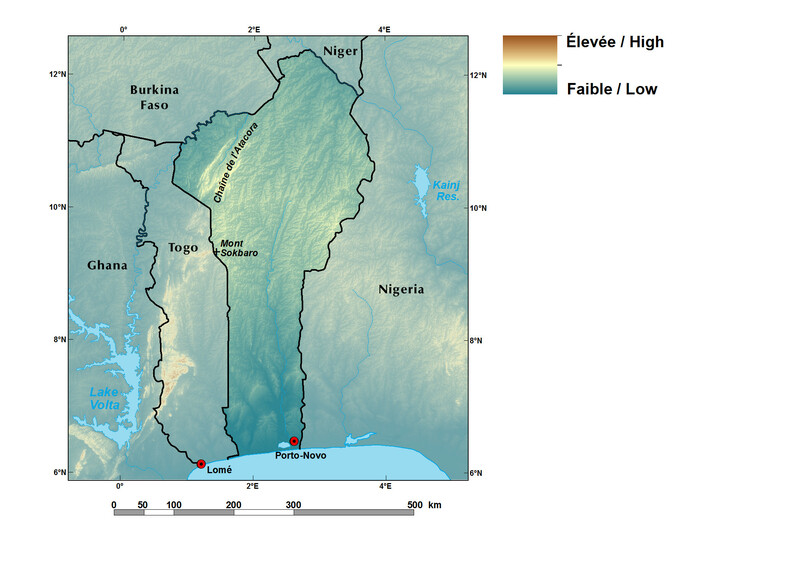 Central Benin, however, consists of the large Pénéplaine bénino-togolaise (PBS and PBN). 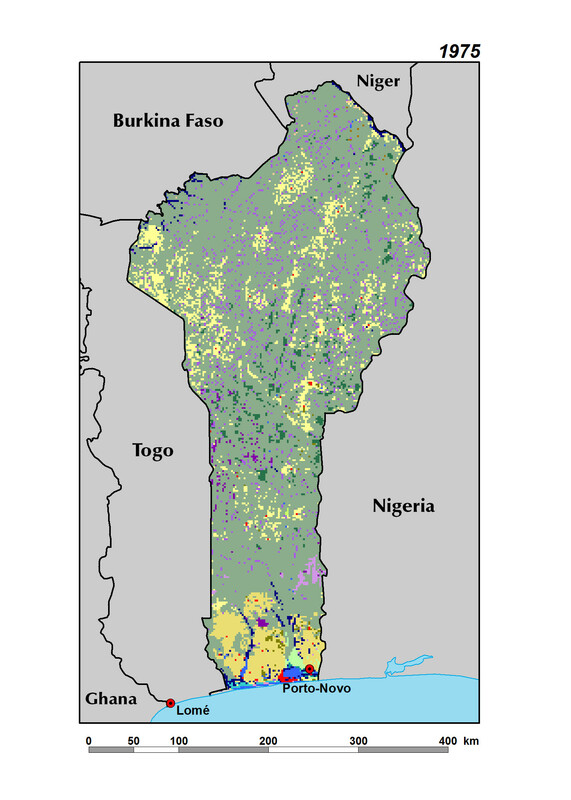 The agropastoral regions of northern Benin (ZAA and ZAB) form a heavily populated agricultural landscape. The Pendjari Plain (PEN), which spreads north into Burkina Faso and Niger, is isolated from the central plains by the mountainous Chaine de l’Atacora (CA).